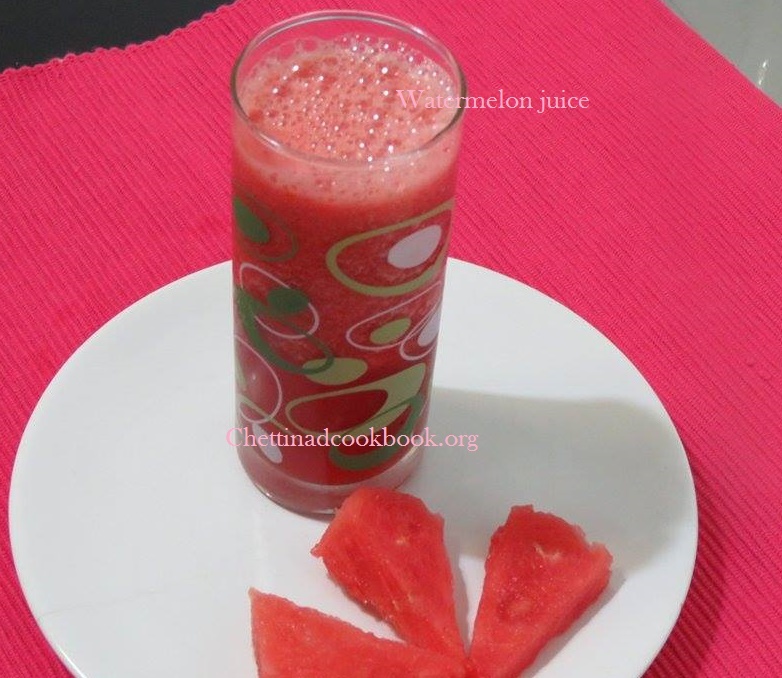 Water Melon juice to suppress body heat. Their refreshing quality and sweet taste help to combat the heat and also provide a guilt-free, low maintenance dessert for kids and adults alike to enjoy.Consuming fruits and vegetables of all kinds has long been associated with a reduced risk of many lifestyle-related health conditions. Many studies have suggested that increasing consumption of plant foods like watermelon decreases the risk of obesity and overall mortality, diabetes, heart disease and promotes a healthy complexion and hair, increased energy, overall lower weight. Peel the watermelon and slice it into 1″ (2.5 cm) chunks using a sharp knife. 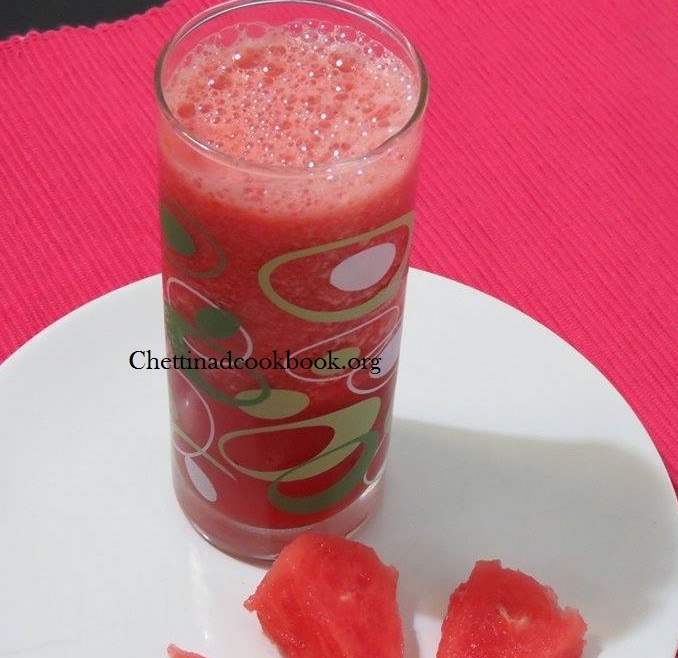 Blend your watermelon chunks and sweetener and check the consistency. Add water for thinner juice and add ice cubes for thicker juice.